"Deciding which woman in the world he loves most is driving him out of his mind." David is a sculptor who is single and enjoys being single. It seems like we is womanizing woman on the daily, whether it is at a coffee shop, work, even on the street. The problem grows so intense that he eventually seeks help to help curb the problem. He meets with his psychiatrist Marianna to help alleviate his problems. Marianna is the narrator for the story and talks about his various sexual endeavors. His tales are sometimes humorous but other times quite sad. 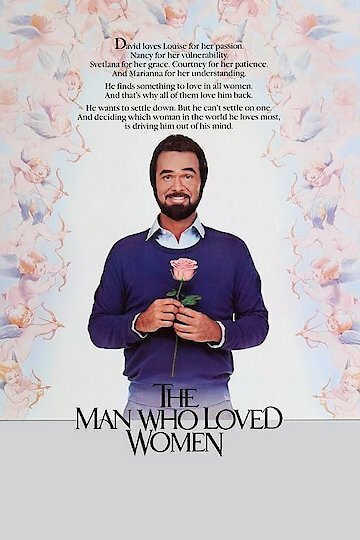 The Man Who Loved Women is currently available to watch and stream, download, buy on demand at Amazon Prime, Amazon, Vudu, FandangoNow, iTunes, YouTube VOD online.